Dreamy neutrals, blonde woods and and some industrial-style dining - just the thing for my strict diet of interior goodies. 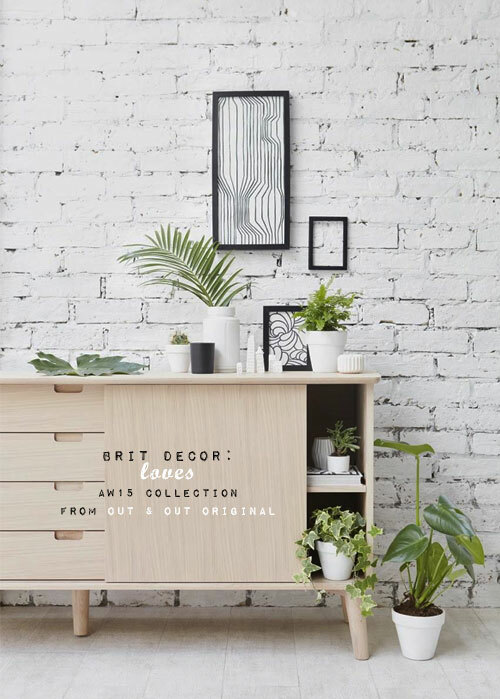 This is my take on the new AW15 collection at online British home furnishings brand, Out & Out Original. Judging by this, their latest offering, it is no surprise that this brand prides itself on delivering quality products and outstanding design - just for us! 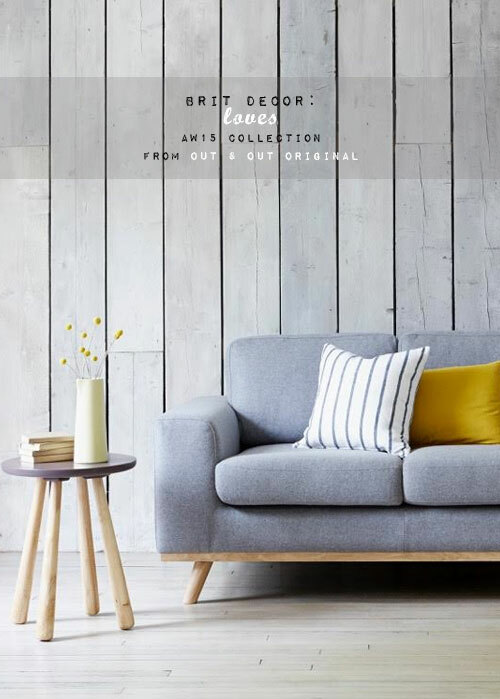 This Autumn/Winter collection is all about simplicity, with materials like leather and walnut paired with premium European grade oak - and then there is the upholstery in cooling greys and ice blues for that quality detailing. 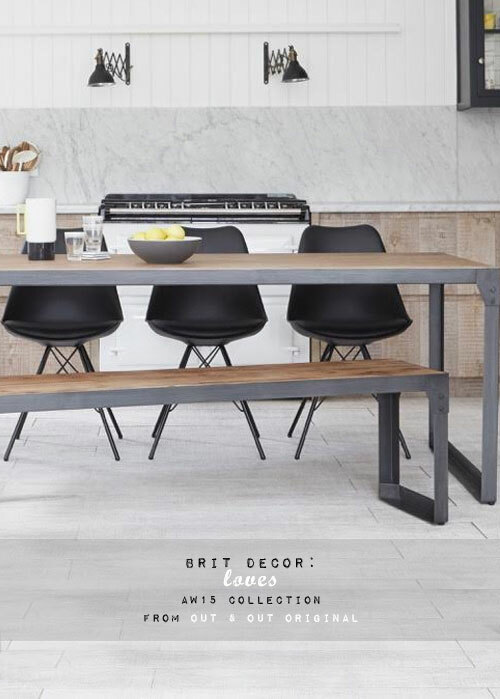 I'm also still not prepared to shake off my fascination with industrial inspired furniture, so naturally I welcome the dominating presence of the 'Brunel' dining table with its steely grey framework.